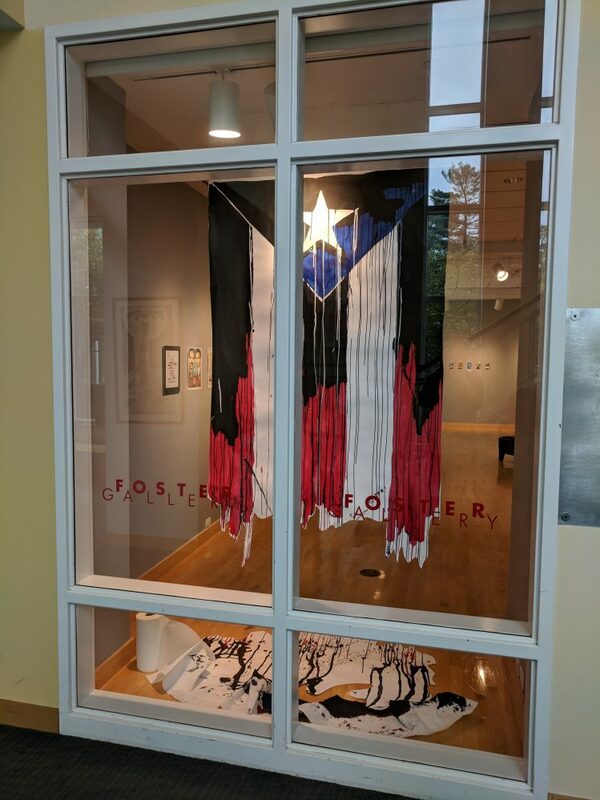 On September 20, artist in residence Nayda A. Cuevas marked the one year anniversary of Hurricane Maria by transforming her Foster Gallery exhibit #FluidIdentity into In Darkness, an immersive interpretation of the storm’s effects on Puerto Rico. 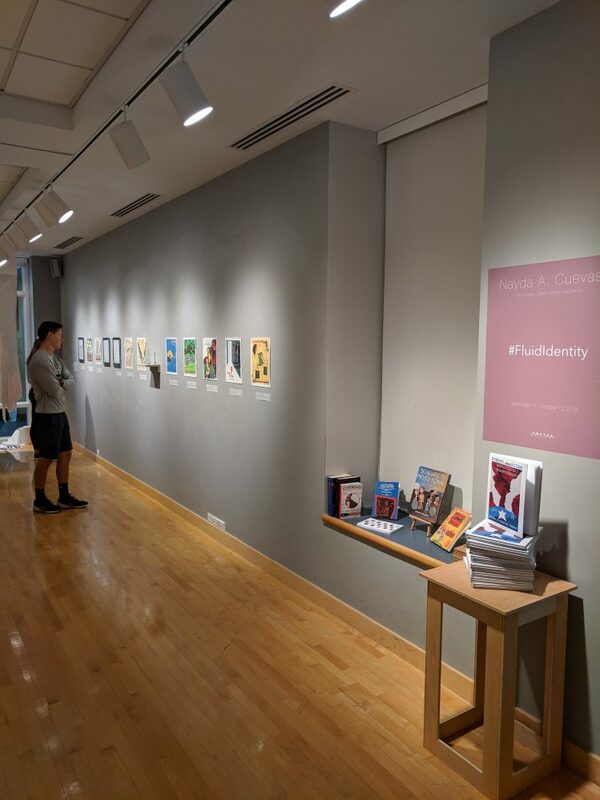 #FluidIdentity, displayed since September 11, includes three main sections that examine Puerto Rican history and latin@ identity. 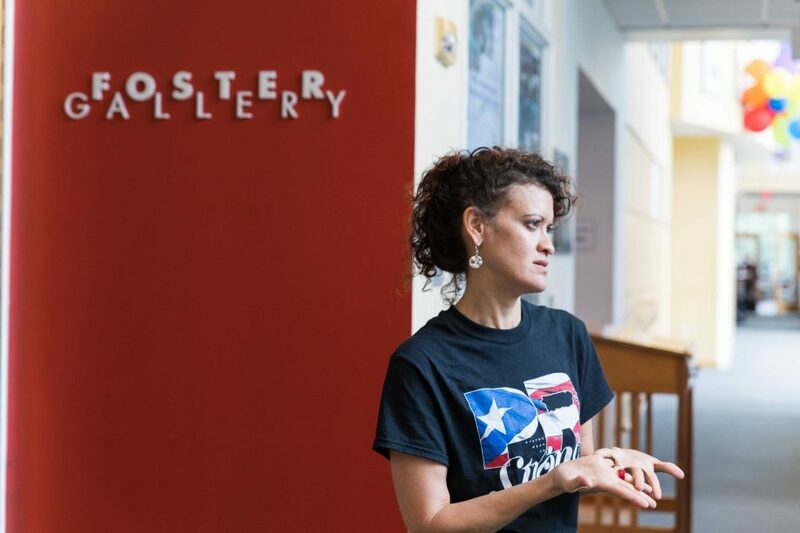 PUERTO ameRICANS: The untold story of Albizu Campos, Angel Ramos Torres & the U.S. analyzes her great-grandfather’s involvement in the Puerto Rican Nationalist movement and his suspicious death. 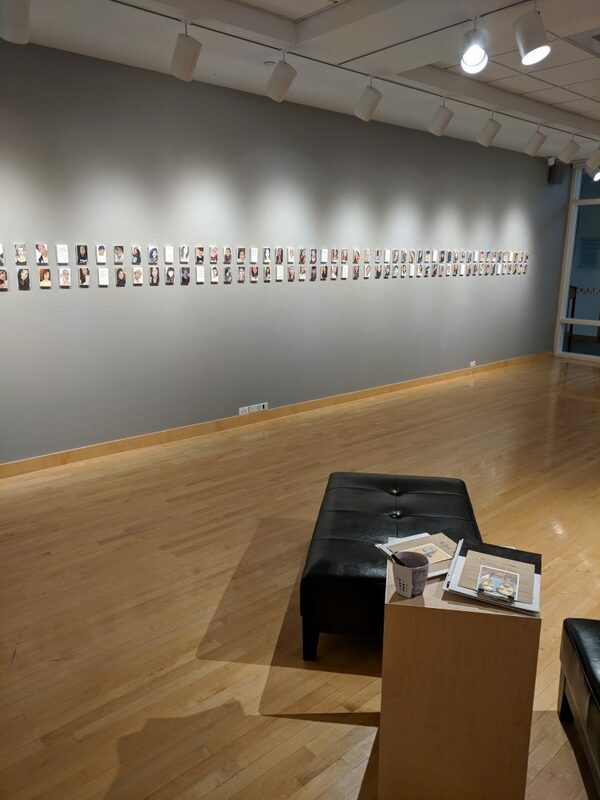 On the back wall, #MurrietaProtest, #DREAMers., and #Inbetween2worlds explores the selfie art form and its contemporary historical context. 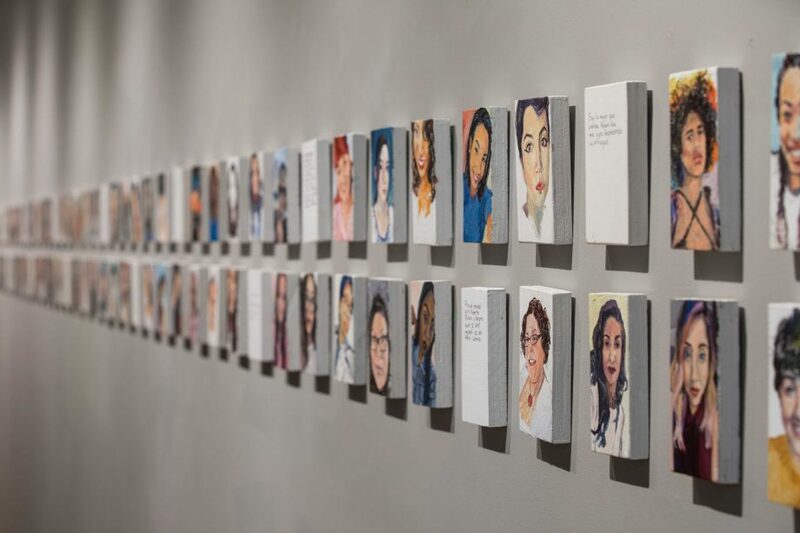 #Latina: Reclaiming the Latina Tag compiles 100 painted recreations of selfies and words shared on a Tumblr blog that encourages reflection on what it truly means to be or look latina. “I aim to create a conversation about identity…to cultivate an awareness of otherness,” she said in a morning assembly talk on September 13. 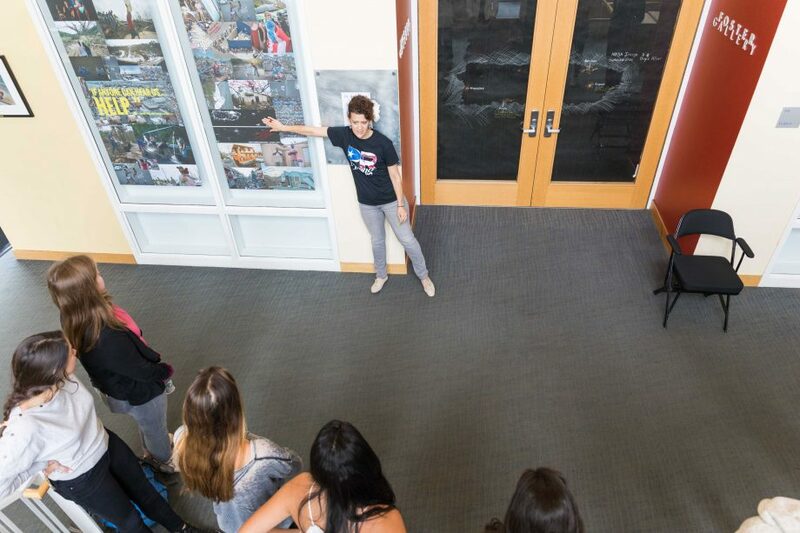 She invited the community to engage with her, welcoming Spanish, history and art classes to test their language skills, discuss Puerto Rican history and learn about her interdisciplinary work. 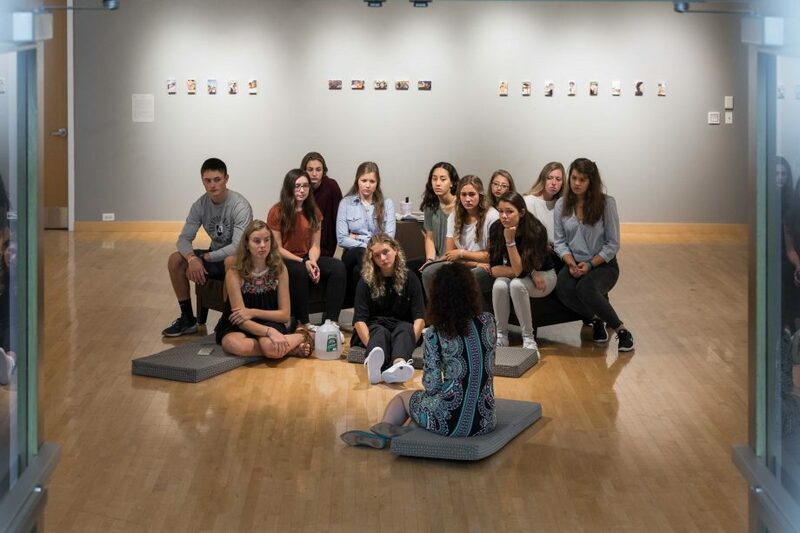 On September 20, classes found her exhibit immersed in darkness and filled with the roaring sounds of hurricane-force winds. 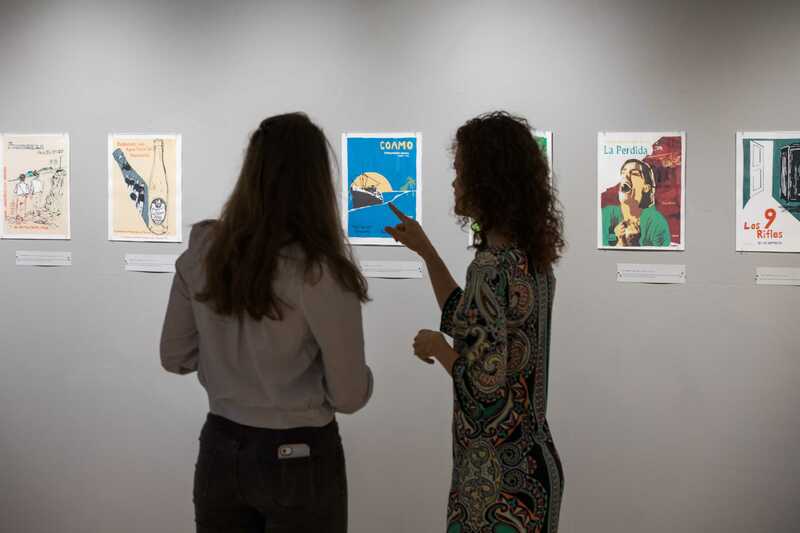 Speaking over the sounds of the hurricane, visual arts faculty member Betsy VanOot reminded her Drawing II students of the practical issues raised during the storm—surgeries performed by flashlight, limited food supplies, and near-total destruction. 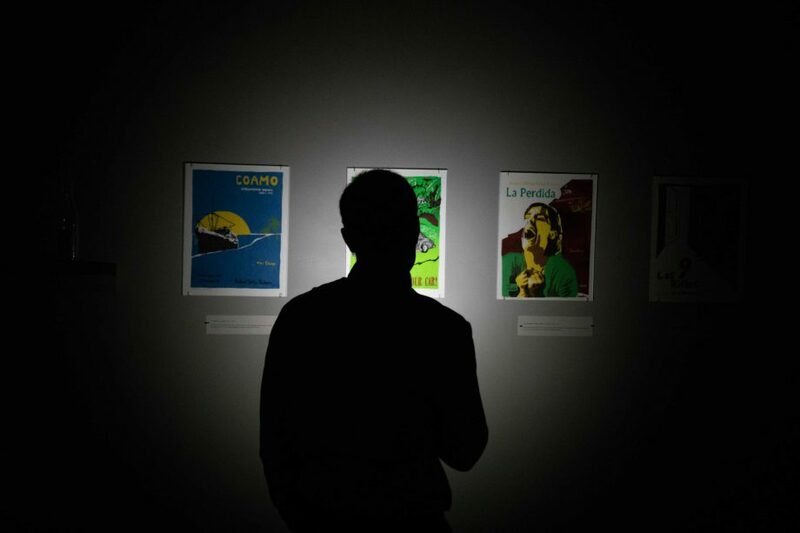 Learn more about Nayda A. Cuevas and her artwork at naydacuevasart.com. PUERTO ameRICANS: The untold story of Albizu Campos, Angel Ramos Torres & the U.S.